The Journal of Current Southeast Asian Affairs is an Open Access publication. All the articles are avaiable online here. Indonesisch-Redewettbewerb (Lomba Pidato) begonnen hat. Informationen und die Details zum Ablauf finden sich hier. DORISEA researcher Andrea Lauser and Kirsten Endres have edited a book on the entanglements of modernity and spirit beliefs and practies in contemporary Southeast Asia. The book has just been published by Berghahn Books. Among the few things that are known about the North Korean dictator Kim Jong-il (1941 0r 1942 – 2011) is his passion for films. In 1978, when Kim Jong-ils father Kim Il-sung was still in power, Kim Jong-Il began to develop his own dictatorial agenda and instructed his special forces to kidnap South Korean filmmaker Shin Sang-ok. Shin Sang-ok was forced to make movies until he could escape in 1986. The godzilla movie “Pulgasari” (1985) is not only his most famous work from his time in North Korea, but also Kim Jong-ils most beloved one. Prof. Dr. Boike Rehbein has edited the October 2011 Issue of Sojourn: Journal of Social Issues in Southeast Asia on “Social Structure and Differentiaion in Contemporary Laos” – with articles by Prof. Dr. Guido Sprenger and by himself. The Table of Contents you can find here. The topic of ‚German Vietnamese‘ is hot, as another publication, this time by Peperoni Books, proves. 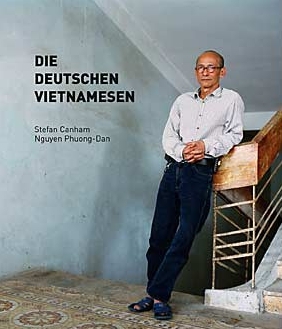 The book is a combination of photos and interviews with Vietnamese men and women who once migrated to Germany and then back to Vietnam again. In their heterogeneity, the biographies reveal how global political and social transformations become relevant in the minutiae of individual lives. The Musée d’Art Moderne in Strassbourg, France, hosts an excellent exhibition on the occult and its relationship to modernity. Review in DIE ZEIT (in German). © Süddeutsche Zeitung GmbH, München. By courtesy of http://www.sz-content.de (Süddeutsche Zeitung Content). 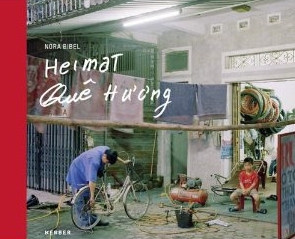 The photographer Nora Bibel has published a book on Vietnamese migrants to Germany who went back to Vietnam after the fall of the Berlin wall. The German weekly newspaper DIE ZEIT offers a glimpse into the book in their photography section. 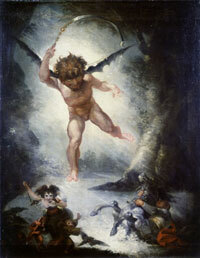 Published in November 2011 by Kerber Verlag.